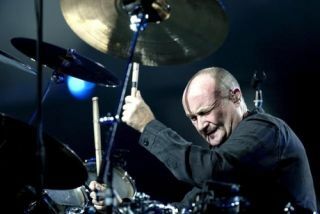 Phil Collins will release his first new studio album in eight years in September. Going Back sees Phil going back to his roots, recording some of his favourite tracks. "These songs - along with a couple of Dusty Springfield tracks, a Phil Spector/Ronettes tune, and one by the Impressions - make up the tapestry, the backdrop, of my teenage years. "I remember it as if it was yesterday, going to the Marquee Club in London's Soho and watching The Who, The Action, and many others, playing these songs. In turn I'd go out the next day to buy the original versions. "My idea, though, was not to bring anything 'new' to these already great records, but to try to recreate the sounds and feelings that I had when I first heard them. My intention was to make an 'old' record, not a 'new' record." We recently reported that Phil is to be honoured for his songwriting later this year.